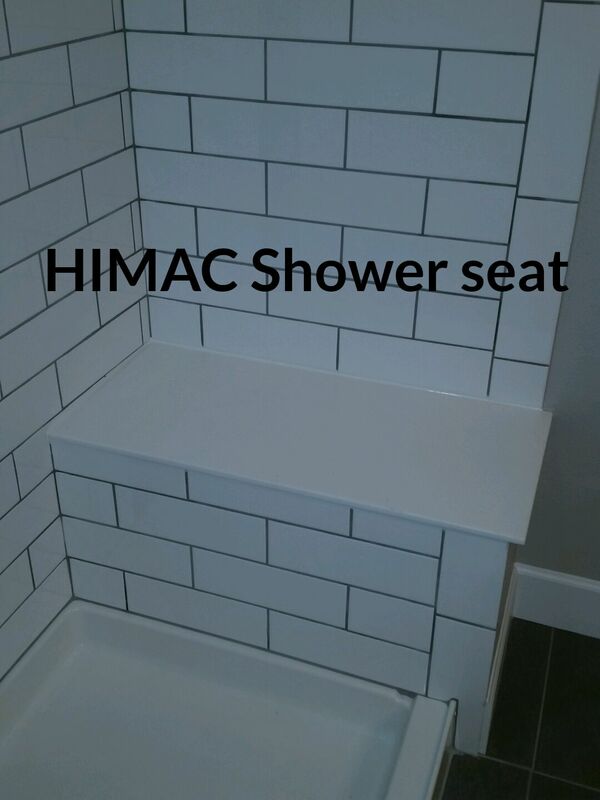 Just like CORIAN®, HI-MACS® can be made to fit in any space for a safe and useful seat with no grout lines to clean. HI-MACS shower seats will not warp or crack from moisture and clean easily with the same products you use to clean the rest of your bathroom. The only difference is price and color. Adding an attractive, safe shower bench increases the usability of any shower, as a bench also functions as a handy shelf. We are sure to have a color that fits your home and style.